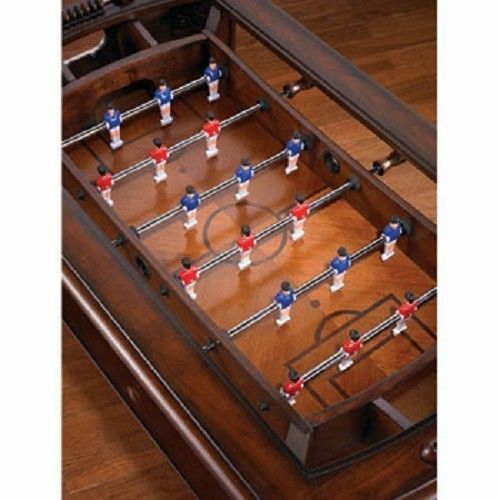 Coffee Table Foosball Table | Fun! 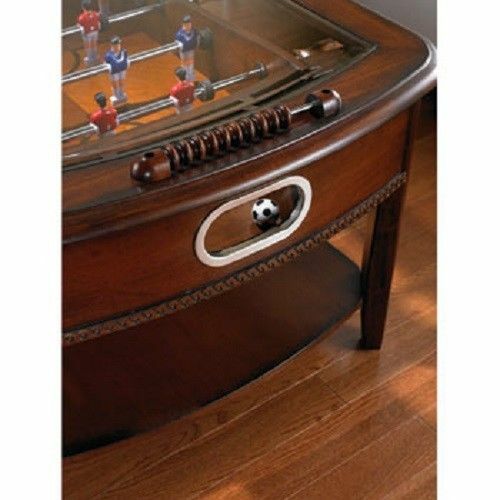 If you’re looking for some kick to go with your coffee, you’ll love the Foosball Coffee Table. It’s the most unique, entertaining and ridiculously fun piece of living room furniture you’ll ever own. Constructed from solid hardwoods, this handsome table is a stunner in any setting. But the best part is the real, working foosball game under the glass. 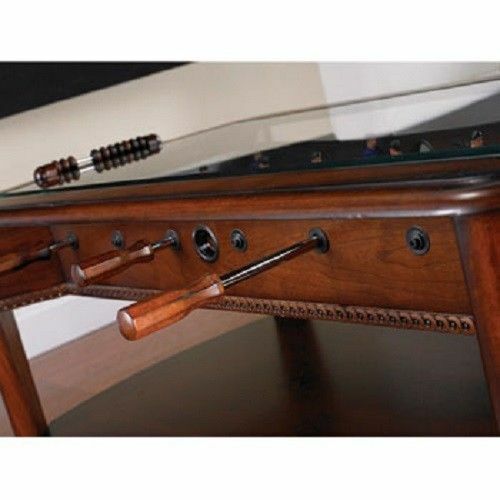 Features include telescoping rods, adjustable leg levelers and hand-painted foosball players. Say goodbye to boring coffee tables. 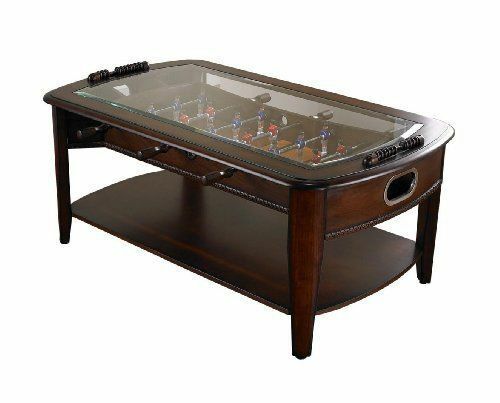 The Foosball Coffee Table combines the elegance of real hardwood furniture with the excitement of your favorite indoor sports game. Your guests will line up for a turn at the Foosball Coffee Table.